1 On the R‑Studio for Linux main panel, select the Tools menu, then Settings , and select Enable Write on the Settings dialog box. Exact attribute data. If the attribute is compressed, R‑Studio for Linux decompresses it prior to showing. Exact attribute data + free space of last cluster. If the attribute is compressed, R‑Studio for Linux decompresses it prior to showing. You may view data in 4 various code pages: ANSI/OEM/UNICODE/UNICODE+ by switching on/off the respective code pages in the Code pages buttons or select the appropriate code pages on the View menu. 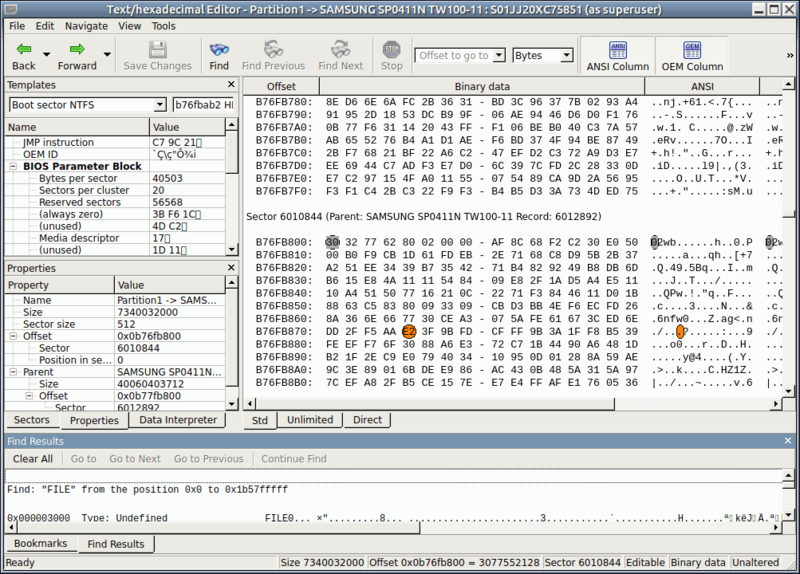 You may find the next or previous data that matches the pattern signature on the disk. Right-click the right pane of the editor and select either Find Template Signature Next or Find Template Signature Previous on the context menu. You may also select these items on the Edit menu. 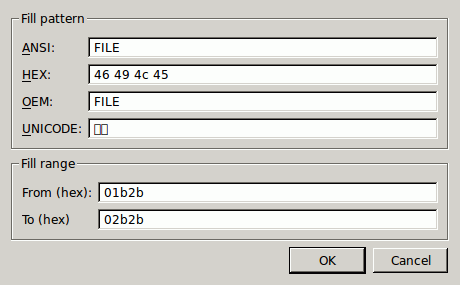 If you select an existing file, R‑Studio for Linux will ask you if you want to append or overwrite the file.